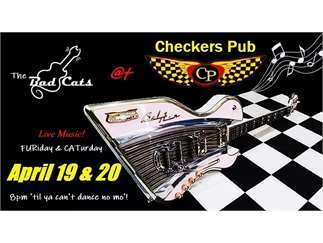 CATurday night LIVE - The Bad Cats at Checkers Pub! 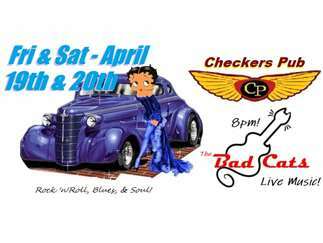 Dance to PURRfectly good LIVE Rock 'n' Roll, Blues, & Soul in a fun CATmosphere! - Great food & drinks, and NO COVER!